“We’re excited to offer personalized training for youth athletics”, says Vance Mueller. “While students get awesome training by their coaches and teams, we focus on their individual needs, strengths, and weaknesses, and help to build their bodies, minds, and spirits so they will excel in their sport.” Until now, student athletes wanting specialized training had to go out of county for this type of customized programing. Mueller has worked with athletes in all sports, including football, baseball, soccer, motocross, volleyball, gymnastics, running, basketball and swimming. Teamed up with Joe Shanley of Fitness Built for You and with Rock Steady Boxing, the studio offers a dynamic, fun, results-oriented workout for small groups in the mornings and evenings as well as one-on-one training. For those who want to work out but don’t know what to do, daily self-guided personal training instruction will be provided so individuals can follow the workouts on their own. 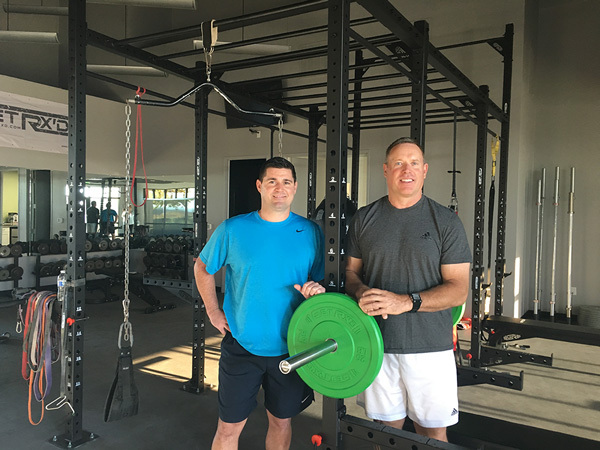 Mueller’s Elite Fitness is offering a limited number of month-to-month memberships at special pre-sale pricing of $69 for an individual, $119 per couple, or $149 for a family up to four people. The studio will be open Monday through Friday 5 a.m. to 8 p.m., Saturdays 8 a.m. to 4 p.m. and Sundays by appointment only from 8 a.m. to 2 p.m. For more information call 209-257-3164 or visit www.muellers-elite.com. Rock Steady Boxing is a non-contact boxing inspired course that can reverse, reduce and even delay the symptoms of Parkinson’s disease. These classes have proven that anyone, at any level of Parkinson’s, can actually lessen their symptoms and lead a healthier and happier life. www.rocksteadyboxing.org.